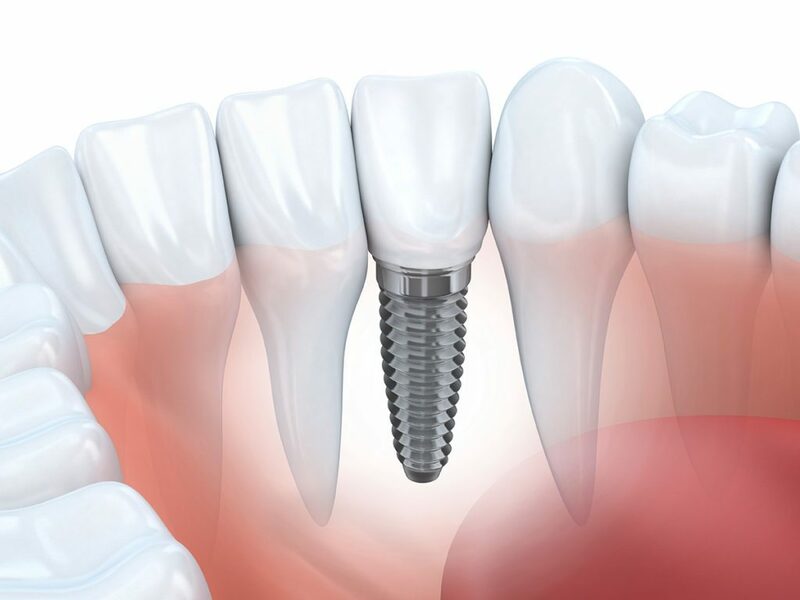 Dental implants are titanium prostheses which aim to replace one or more missing teeth. They are composed by an endosseous part that is surgically placed and incorporated to the jaw bone (also known as the ‘implant screw’) and the restoration (crown/bridge/denture) that is screwed or cemented on the implant and aims to replace the actual teeth. Contemporary research has made implants the first choice in cases of teeth replacement as they are a very conservative option that does not harm the adjacent teeth and has very high long-term success rates.